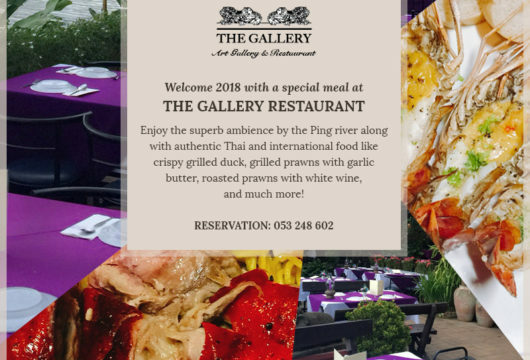 At The Gallery Restaurant, we always have events and special celebrations going on. Find out about the upcoming events and book a table early so you don’t miss to enjoy the festivals and celebrations right by the Ping River. Celebrate the arrival of 2018 at The Gallery Restaurant. Enjoy authentic Thai and international food. We'll serve grilled duck, grilled prawns with garlic butter, and much more!